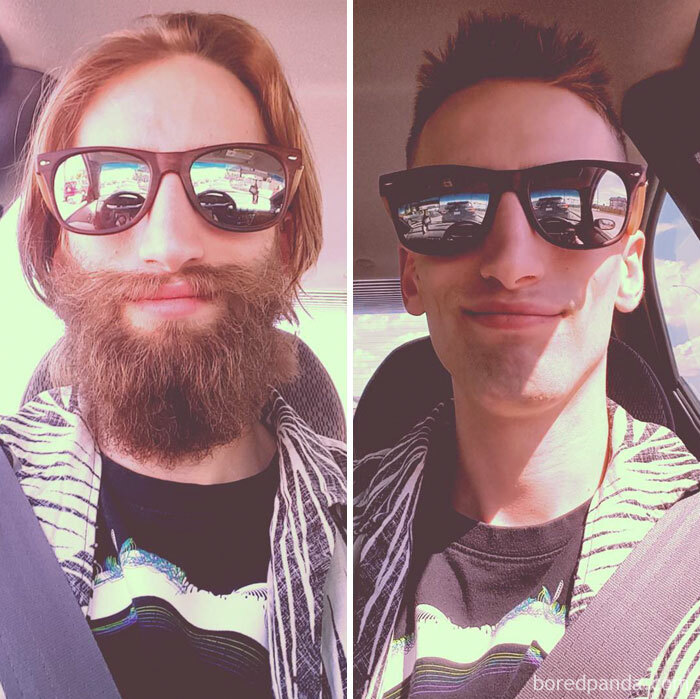 Beards can change the way a person looks. 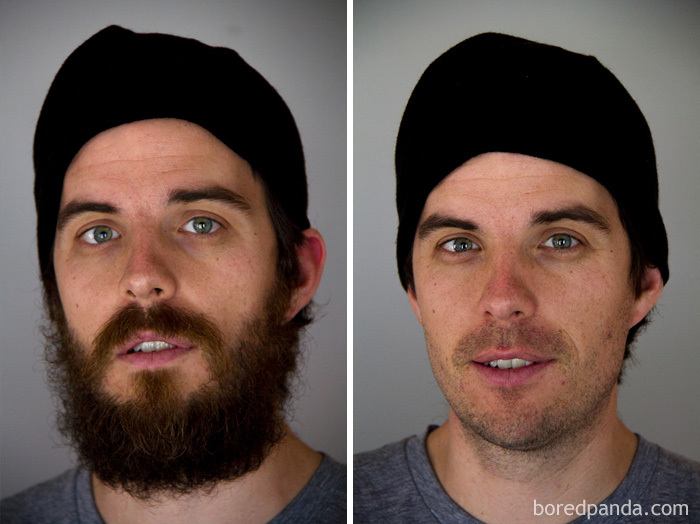 This is proven in these 25 pictures of men who shaved and how they look like brand new people! 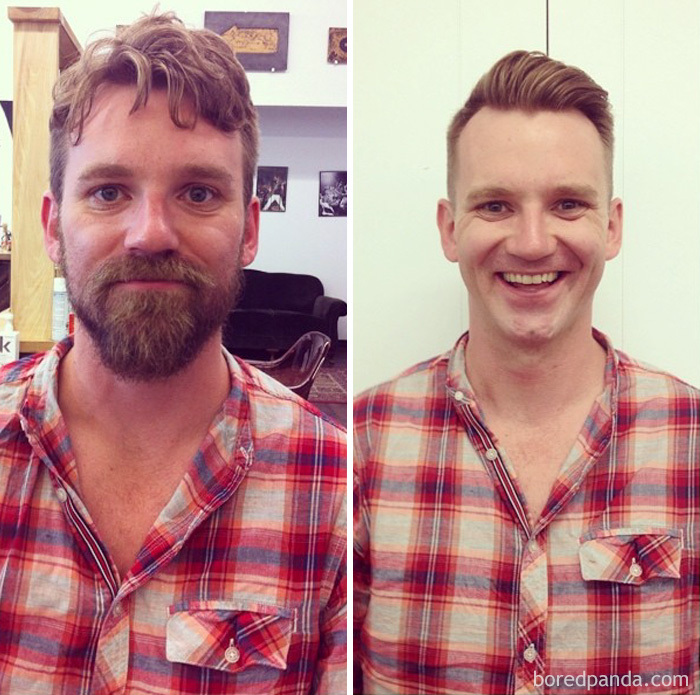 He was a hipster transformed into a mad scientist… should’ve kept the beard! 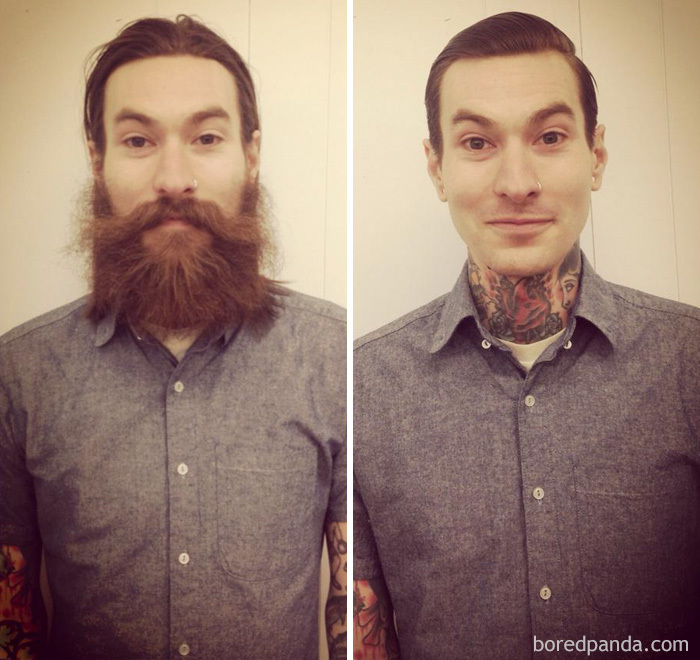 If he did this for a job interview he did the right thing! 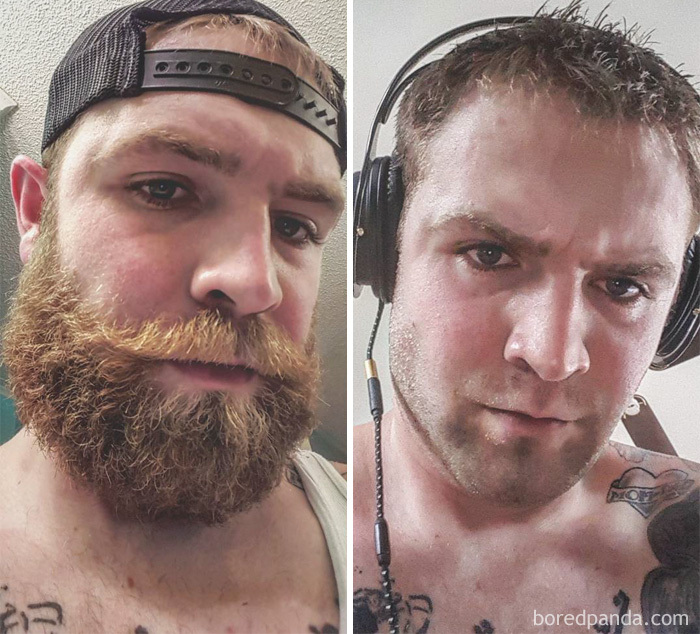 This guy went from gym junky to gamer in matter of seconds! 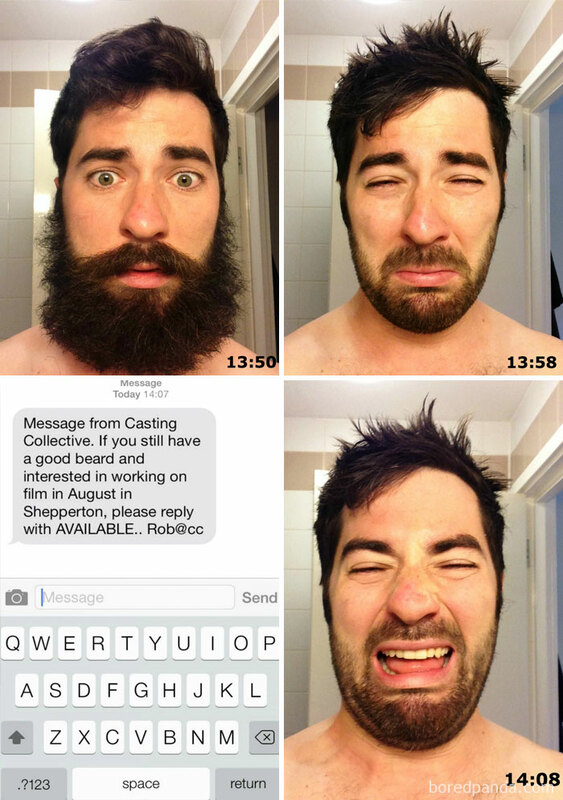 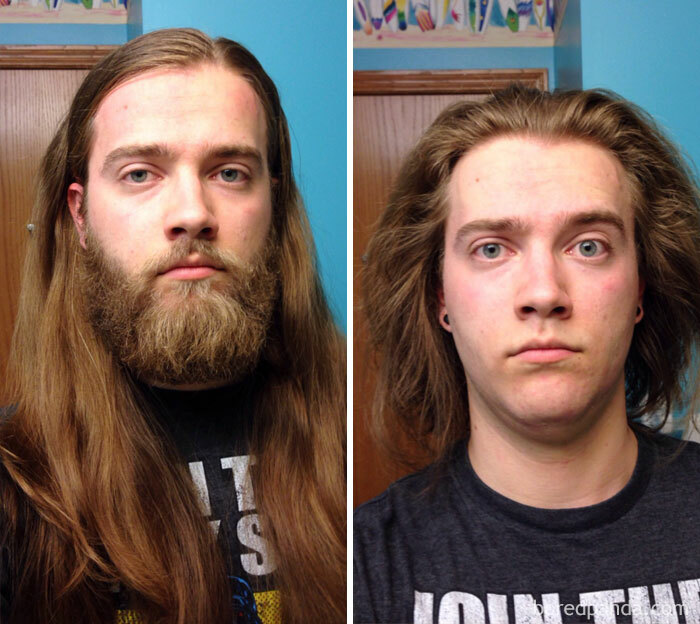 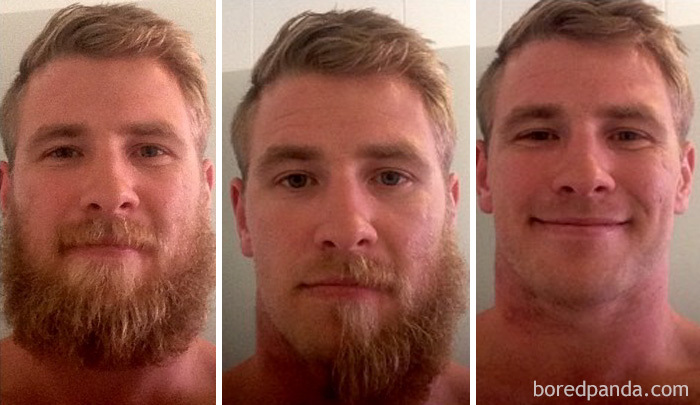 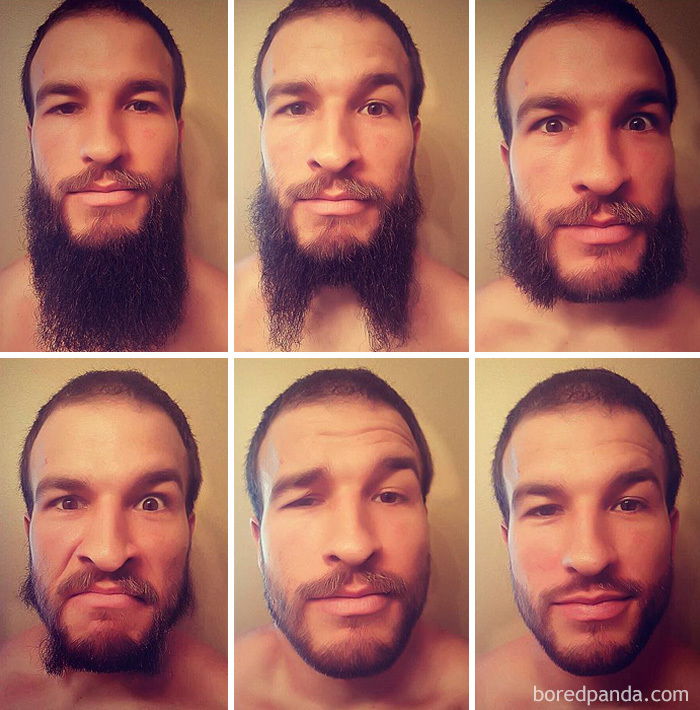 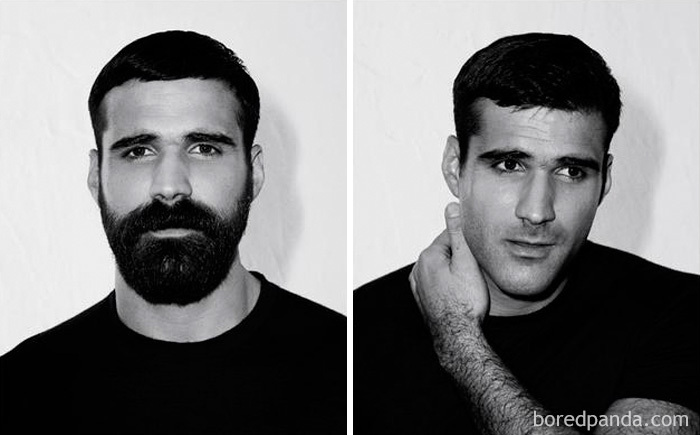 This guy took us through the different kinds of beards as he slowly shaves his mane! 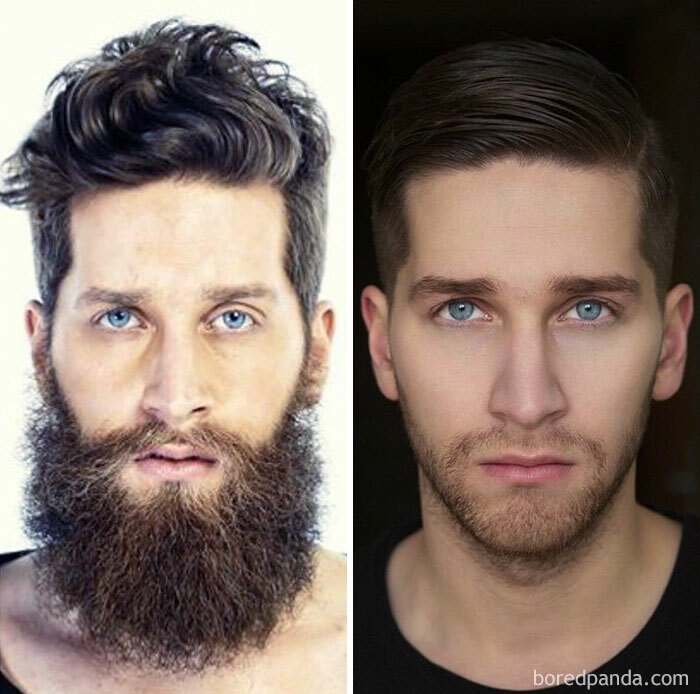 The next guy to play Superman, with or without a beard! 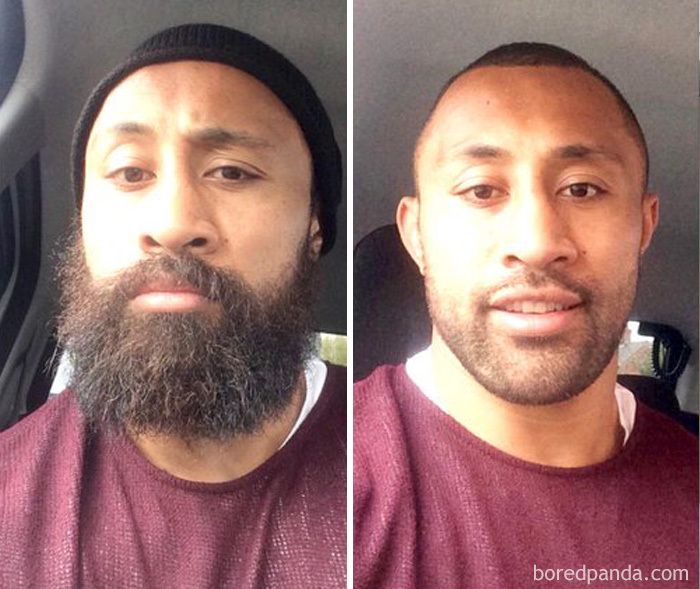 This guy went from football star to movie star! 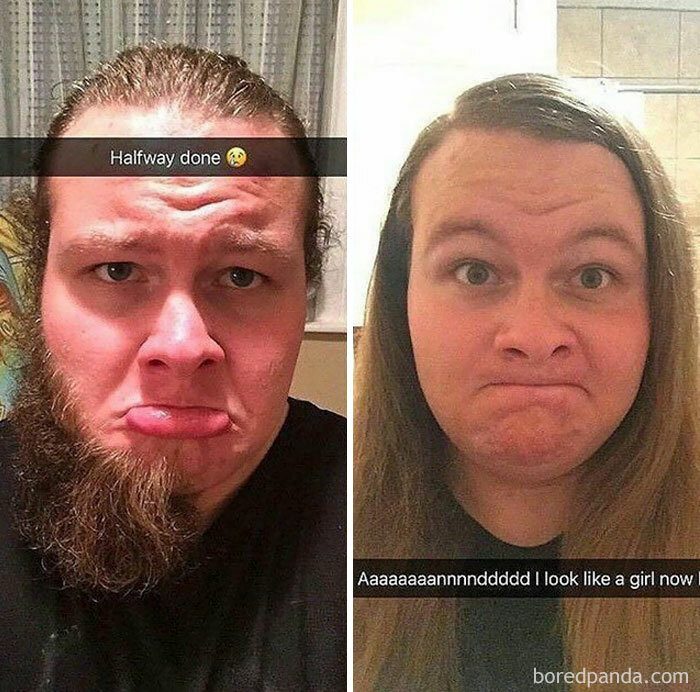 What happens when you join the military! 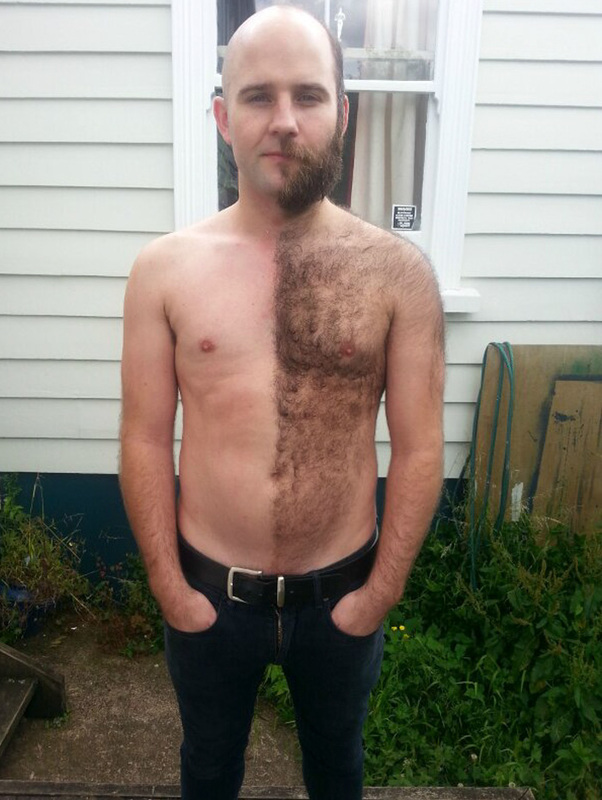 This guy’s beard grows so fast that in between the picture with his beard and shaving, he grew a 5:00 shadow! 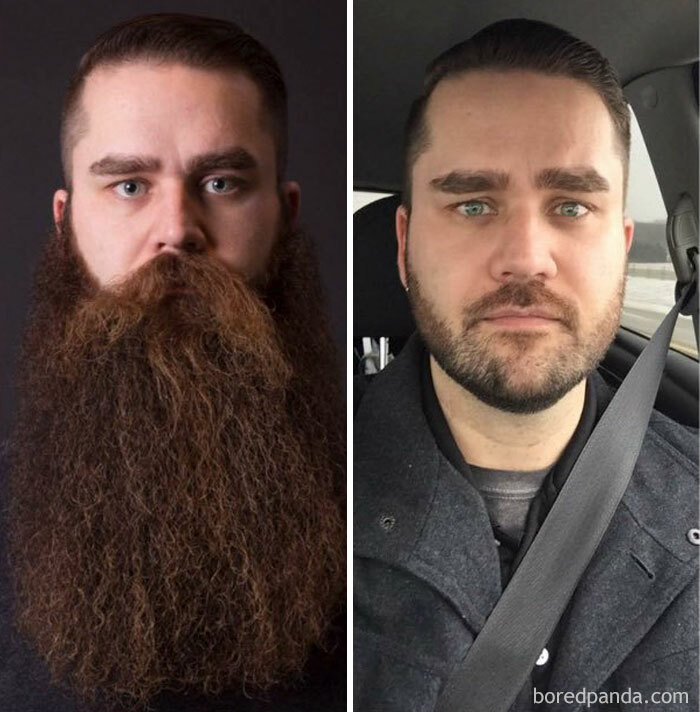 He lost weight and his beard, for the better! 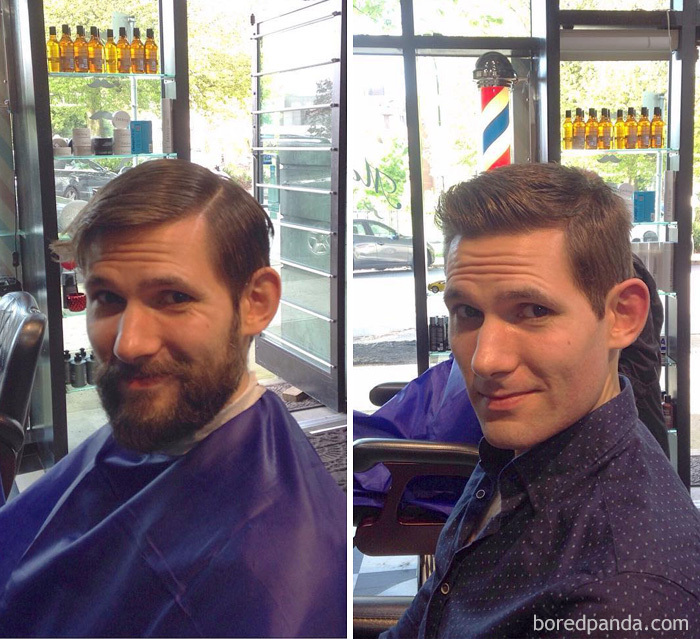 Jake Gyllenhaal to preteen… should’ve kept it! 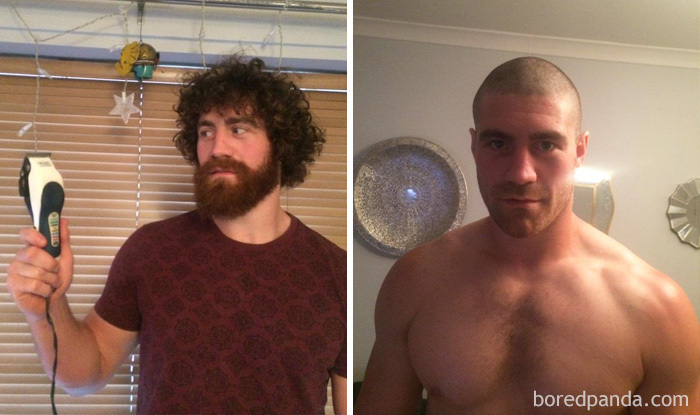 From sauce boss, to small child with too much hair! 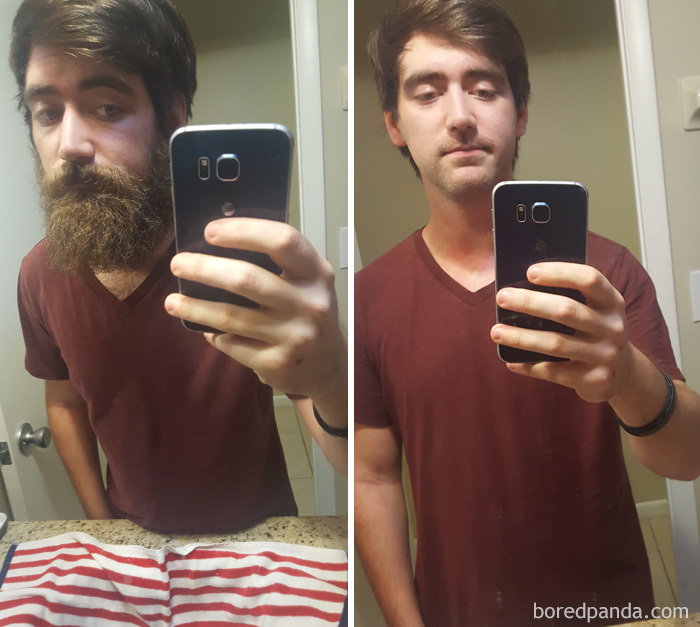 That beard was out of control! 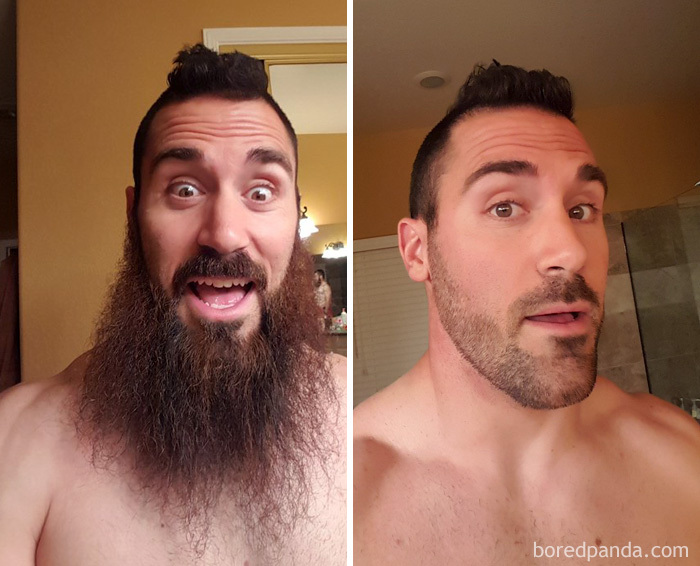 He seems really happy about losing the beard, good for him! 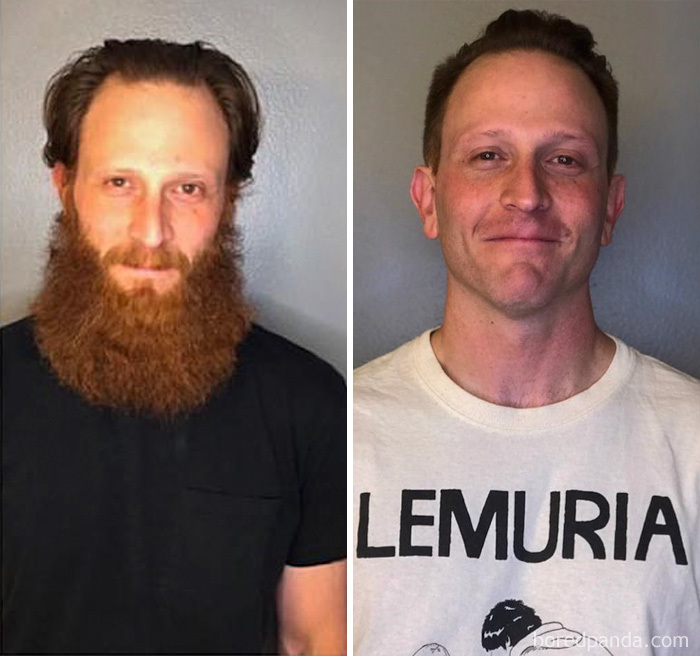 Who knew he had neck tattoos! 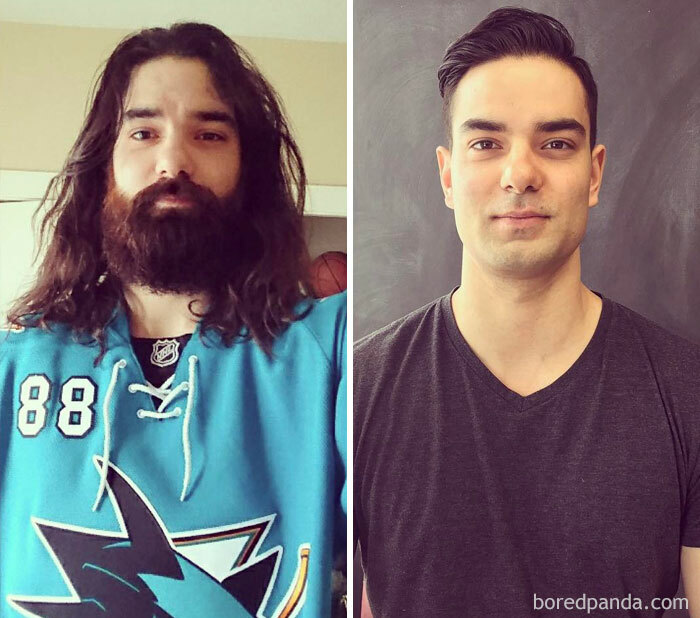 This Jesus hockey fan changed into a normal looking guy! 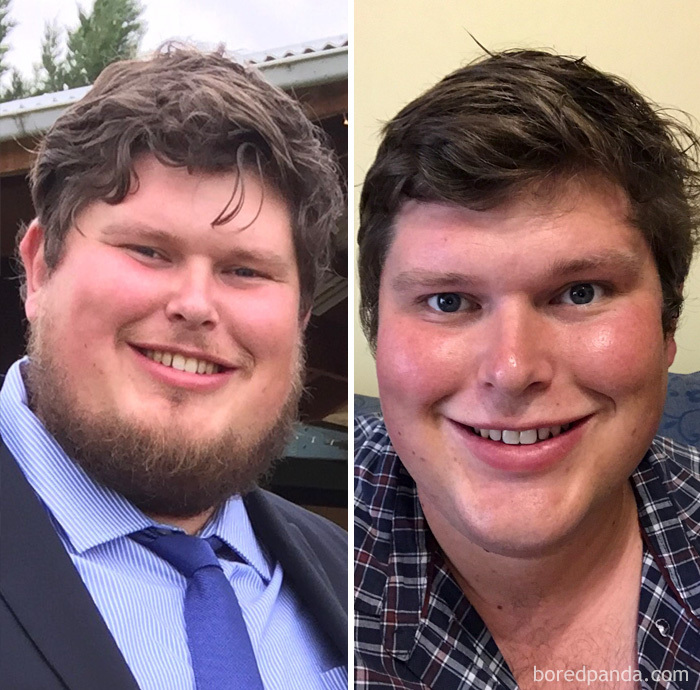 Getting board on a road trip? 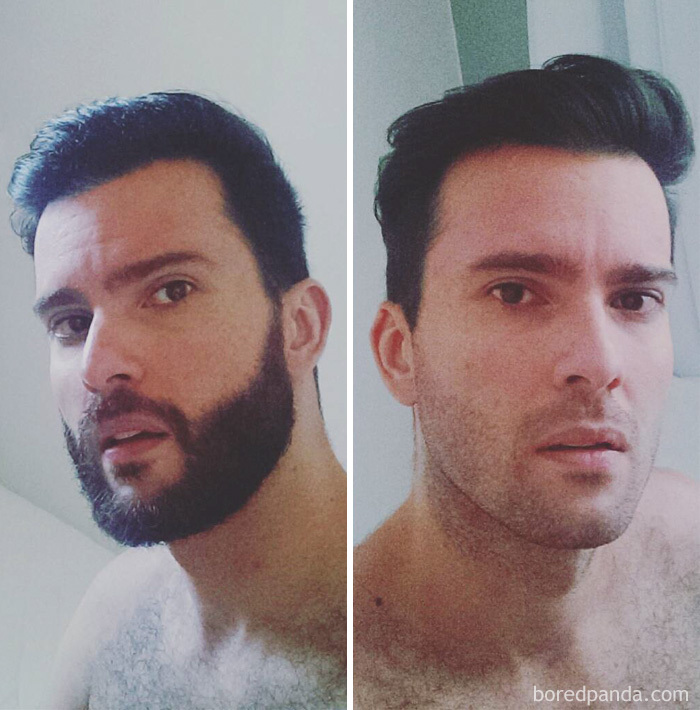 Shave!